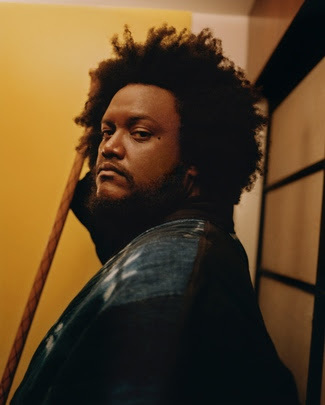 Groundbreaking artist Kamasi Washington debuts a new song, “Street Fighter Mas.” Listen here and watch the trailer for the track’s forthcoming video, directed by A.G. Rojas, here. Washington’s immensely anticipated sophomore album Heaven and Earth is out June 22 via Young Turks. “When I was younger, I was in between the end of the arcade generation and the beginning of the console generation. We used to go to this place called Rexall to play Street Fighter. At Rexall, there would be different people from different hoods there playing the game. It was the one place that was like an equalizer. It was just about how good you were at Street Fighter…for the most part. In other places, you were afraid of these dudes; there, you would just play the game and it was what it was, you know? I was really good at Street Fighter, so where the song really came from was me jokingly saying I was going to have my own theme song so that when I showed up to play Street Fighter they’d play my theme song before I came in, like a boxer. In the context of the album, it was the connection that we got with those guys in our neighborhood. We used to call them OGs, the older guys that we looked up to. Heaven and Earth, the long-awaited follow up to Washington’s debut The Epic, is comprised of two halves, which find Washington confronting quotidian realities with cosmic themes. A further investigation of Washington’s world building ideas, the new album explores his reckoning with current global chaos and his vision for the future. Washington convened his band, The Next Step, as well as members of the long running collective The West Coast Get Down at Henson Studios in Los Angeles to record the 16 tracks on Heaven and Earth. The music was composed, written and arranged by Washington, with new arrangements of jazz and bebop legend Freddie Hubbard’s “Hubtones” and iconic kung fu film theme “Fists of Fury,” as well as one song by bandmate Ryan Porter. Thundercat, Terrace Martin, Ronald Bruner, Jr., Cameron Graves, Brandon Coleman, Miles Mosley, Patrice Quinn, Tony Austinand many more contribute to the album. “Street Fighter Mas” follows “Fists of Fury” and “The Space Travelers Lullaby,” released in April alongside a pair of accompanying scenes created by acclaimed British artist and director Jenn Nkiru. The visual pieces are inspired by a more expansive collaborative Heaven and Earth film project that is due for release later in the year. To celebrate the release of Heaven and Earth, Washington will tour globally with stops in London, Paris, Berlin, New York, Tokyo and beyond. See full tour details below and visit kamasiwashington.com for more information. 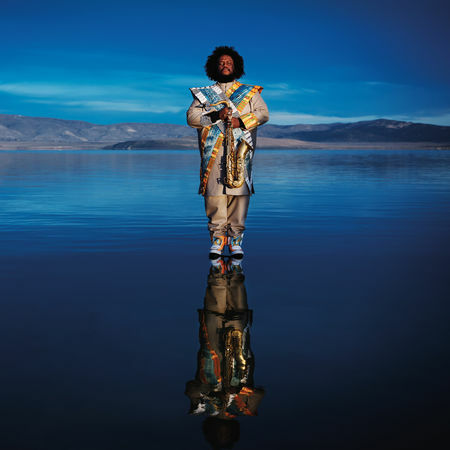 Kamasi Washington is a multi-instrumentalist and producer born and raised in Los Angeles. He grew up playing jazz in the city’s storied Leimert Park neighborhood. Forming his first band, the Young Jazz Giants, with Stephen “Thundercat” Bruner, Ronald Bruner, Jr. and Cameron Graves in high school, Washington went on to study ethnomusicology at UCLA and play with Snoop Dogg, Raphael Saadiq and more. His debut album, The Epic, was released in 2015 to rapturous critical reception, universally embraced as one of the best of the year and awarded the inaugural American Music Prize. Heaven and Earth follows The Epic as well as Washington’s 2017 EP Harmony of Difference, an exploration of the musical concept of counterpoint that debuted as an original work for the 2017 Whitney Museum of Art Biennial.